PlayerUnknown’s Battlegrounds is on track to become the first ever ‘last man standing’ online battle royale video game to become a mainstream esport. It is currently one of the most watched competitive multiplayer titles in existence, attracting over 202 million unique viewers on live streaming sites like Twitch barely seven months after its original launch. It can also boast an audience 15 times larger than its actual playerbase, which is proof non-gamers are drawn to the spectacles it provides. This is promising for when it is inevitably pushed as a future esport, should it get the proper funding. PUBG’s unprecedented success in viewership will only continue to grow rapidly throughout 2018 and we do not doubt it quickly becoming a serious esport on par with Overwatch’s recent push into the professional gaming sector. 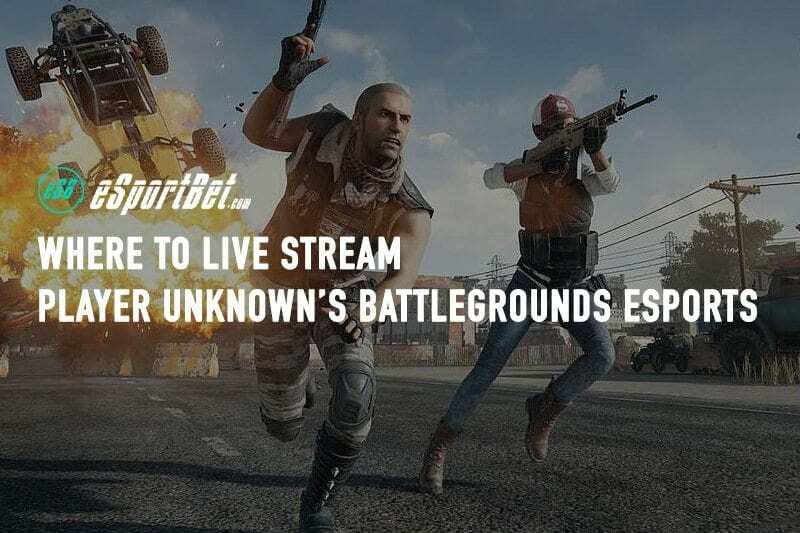 As such, we have compiled a list of the best live streaming sites and services that host live streams of official and sponsored PUBG esports tournaments, along with replays and VODs (Video on Demand) for those who can’t tune in live. How does live streaming PUBG work? Live streaming is when a video-sharing site transmits live coverage of an event real-time, over the World Wide Web, to viewers. It is not a service exclusive to esports viewing, but the entire online gaming scene has seen massive success because of it. Live streaming is often called streaming or live video, in circles outside of gaming. It is almost always a free service, only subject to whether you have access to an active Internet or mobile data connection. In the case of esports, live streaming sites are heavily associated with the industry because live coverage of competitive gaming events and their professional gaming participants was not typically aired or broadcast on traditional mediums such as television (recently, television networks have begun to pay the long overdue attention to esports, but that’s a whole other story). Many non-professional video gamers who like to share their experiences with their latest playthroughs also live stream their gameplay through the same Internet-based channels where we find the latest esports coverage, such as Twitch.tv and YouTube. In the case of PlayerUnknown’s Battlegrounds esports, there is no official or professional esports league created around the game or official venue where the action is live-streamed – yet. There have been three notable “prototype” PUBG esports events held in 2017 for charity, but nothing substantial. Several of the world’s most popular and successful professional gaming teams, who compete in and specialize in mastering multiple video games competitively, have already begun to buy notable PUBG talent and organize dream-team lineups in preparation for what they believe (and we do to) to be the inevitable launch of a professional PUBG scene in 2018. Where can I watch live streams of PlayerUnknown’s Battlegrounds esports? The best places to watch PlayerUnknown’s Battlegrounds-related live streams, including official PUBG esports events such as the Intel Extreme Masters Oakland PUBG Invitational, are on the Twitch live streaming platform. The official PlayerUnknown’s Battlegrounds Twitch channel is naturally the best place to watch (for free) live streams of the best developer streams, charity streams, top plays and beta update coverage for the PUBG scene. It features videos for the international community, so there’s plenty to see here and many more reasons to subscribe for regular updates on the latest newly introduced gameplay features and esports announcements. 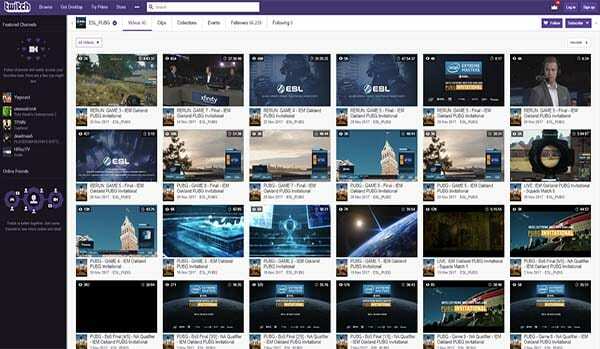 The ESL PUBG Twitch.tv channel is where the majority of live streams and VODs (Video on Demand) for past and present PUBG esports events are uploaded and watchable. Currently, the account has fully re-watchable videos of the recent IEM Oakland PUBG Invitational, which they exclusively streamed live when the event took place.